2013 marks the Year of the Snake. As a symbol of rebirth, longevity, and protection in ancient China, this authentic Asian design shines in Crystal Silver Shade. 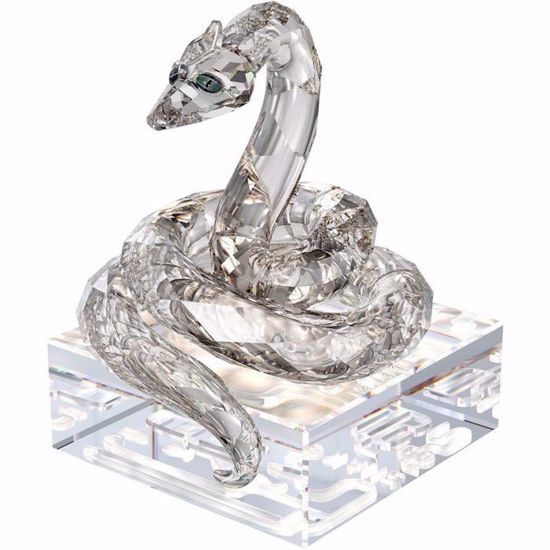 It bears a special seal engraved on the crystal base, describing the Zodiac sign and giving its name in Traditional Chinese and English. Decoration object. Not a toy. Not suitable for children under 15.